Get people to recognize your business when you provide great refreshment to them when it's hot outside with this bottled water! 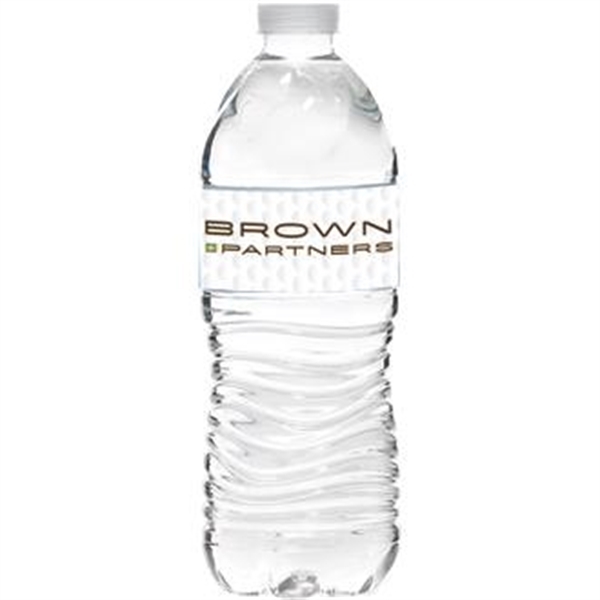 It measures 7 3/4" x 2 1/4", holds up to 16 oz., and can feature your company name or logo on the white waterproof label. Choose from our stock golf motif or completely customize the imprint area with a design of your own. Give this out at the next event to draw more people over to your brand! Size: 7 3/4 " x 2 1/4 "